Moderately elevated temperatures can induce state transitions in higher plants by phosphorylation of light-harvesting complex II (LHCII). In this study, we exposed unicellular algae Chlamydomonas reinhardtii to moderately elevated temperatures (38 °C) for short period of time in the dark to understand the thylakoid membrane dynamics and state transition mechanism. Here we report that under elevated temperatures (1) LHCII gets phosphorylated similar to higher plants and (2) there is decreased absorption cross section of photosystem II (PSII), whereas (3) there is no change in absorption cross section of photosystem I (PSI) indicating that LHCII trimers are largely disconnected with both photosystems under moderately elevated temperatures and (4) on return to room temperature after elevated temperature treatment there is a formation of state transition complex comprising of PSII–LHCII–PSI. The temperature-induced state transition mechanism also depends on stt7 kinase-like in light-induced state transition. The protein content was stable at the moderately elevated temperature treatment of 40 °C; however, at 45 °C severe downregulation in photosynthetic performance and protein content was observed. 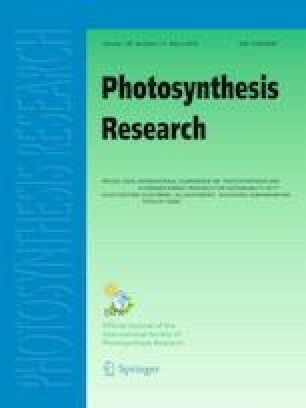 In addition to the known changes to photosynthetic apparatus, elevated temperatures can destabilize the PSII–LHCII complex that can result in decreased photosynthetic efficiency in C. reinhardtii. We concluded that the membrane dynamics of light-induced state transitions differs considerably from temperature-induced state transition mechanisms in C. reinhardtii. The online version of this article ( https://doi.org/10.1007/s11120-018-0562-4) contains supplementary material, which is available to authorized users. R.S was financially supported by the Department of Biotechnology (BT-BRB-TF-1-2012; BT/PR14964/BPA/118/137/2015), Council of Scientific and Industrial Research [No. 38(1279)/11/EMR-II and No. 38 (1381)/14/EMR-II and DST-FIST], Govt. of India. We thank Michael Christopher, Buckingham, UK for English corrections. SM acknowledged UGC for fellowship (JRF/SRF).